As usual, today I’m sharing words from a (late) great musician. 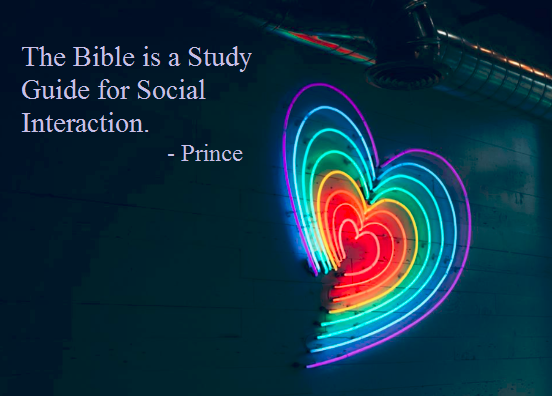 Today I give you the incomparable Prince. As I am more likely to read the Bible and pray than attend any church, the following quote rings true to me. And I like to think that if even atheists could agree with it, the world would be a better place. Thanks to Brainy Quote for this saying. Photo courteous of Matias Rengel from Unsplash. As I want this heart for my wall, I have to ask if anyone has any neon at home. I'm glad you like it. And thank you for the kind word. Be well, my dear! Honey you know color inspires me, you know I love color...but in my home, not so much. I like basic beiges, off whites...etc cause I don't find I want to change it as much. My brother had a nice couch he wanted to get rid of, mine was worn out so he gave it to me....RED! That was a big change from my BROWN...but I love it. Here again, that is not NEON! haha....I can throw color in with my deocrating but neon is not my color of choice. But...my brother that gave me the red couch, he has glow in the dark cabinets! haha....I will have to see if I have a pic. Oh, I would enjoy seeing those cabinets! ~grin~ Be well, my dear. Oh, thank you! You do the same, my dear. 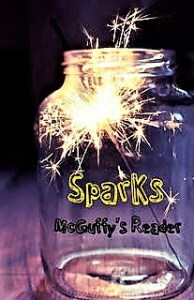 That is a great spark. I prefer to pray at home than go to church. I get nervous near others and it distracts me from praying. Aw, bless your heart. ~hugs~ I hope you are well, my dear. There are a couple teachers who keep neon signs in their classrooms. Does that count? There are so many great religious traditions on Earth. Why limit yourself to the study of just one's book? Ooh, yeah. And yes, I study more than one book. ~grin~ Be well! That's a really interesting quote and I agree with Liz, so many religions in this world and if we all had a better understanding of each other then the world might be a bit more peaceful. Yay! Be well, my dear. Like the quote. The Bible has a lot to teach us that's for sure. As do other texts as good friends mention. ~grin~ Be well, my dear. As you know, each of us is responsible for our interactions. Everything we need to know is said to be in the bible. Yet, we don't follow it. We keep searching when we don't like what we are told. Hugs, my friend.My tests this week confirmed that my Sarcoidosis is active. Chloe Jo is still struggling with her Intestinal Lymphoma.